Teaching our children to bike is an important milestone for all parents. I can safely say that biking in my own childhood and now with my kids is one of my most cherished memories. Summer is a great time to teach new skills to our children. As you explore summer camp options, I wanted to share our Pedalheads review with all parents and recommend their programs. We started the Pedalheads program three years ago with Zeynab and since then have done various levels of their classes for my children. I have seen my children learn essential biking skills under the guidance of attentive instructors and seen their confidence grow. I love that the Pedalheads program teaches bike safety to children in all classes, covering road safety in the advanced classes. Zeynab looks forward to her Pedalheads class every summer since the instructors combine teaching with lots of fun and games. Hussein joined the program as a three-year-old on his balance bike. The Pedalheads learn-to-ride bike program is best known for helping kids ages two through 12 get off training wheels. However, the program also covers safely riding on the road, and mountain biking. The program covers the diverse needs of families by including a progression of six instructional levels for parents to choose from, three-hour half-day camps, seven-hour all-day camps, private lessons, and before and after care options. 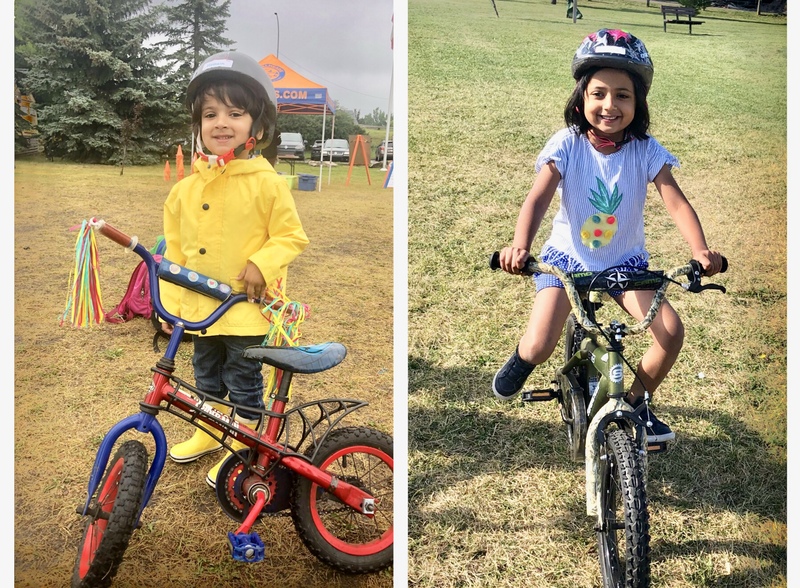 The kids get lots of time on their bikes learning and playing games, navigating obstacle courses, and challenging themselves with a variety of activities in a safe environment. Pedalheads has 11 locations across Calgary. There are over 75 locations in four Canadian provinces (British Columbia, Alberta, Ontario, and Quebec) and five US states (Colorado, Illinois, Washington, Oregon, and California). You’re sure to find a program near you! Do checkout the Pedalheads website here to register! Hope our Pedalheads review was helpful for you. We are sure that your family will love the Pedalheads experience just like we do! Disclaimer: This post was sponsored by Pedalheads. All opinions are my own.